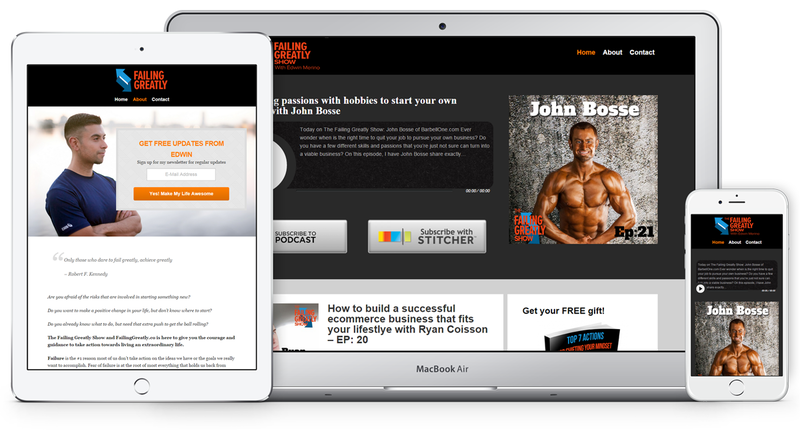 Failing Greatly project involved customization of an existing Genesis theme for podcasting. Work included: display of different logos on specific pages, creating a new look for inner pages with big call to action sections, email newsletter, custom landing / leads page creation. Work: Website Customization, Adding features, New sections / widgets creation, Logo variations, Custom inner pages, Landing page creation.